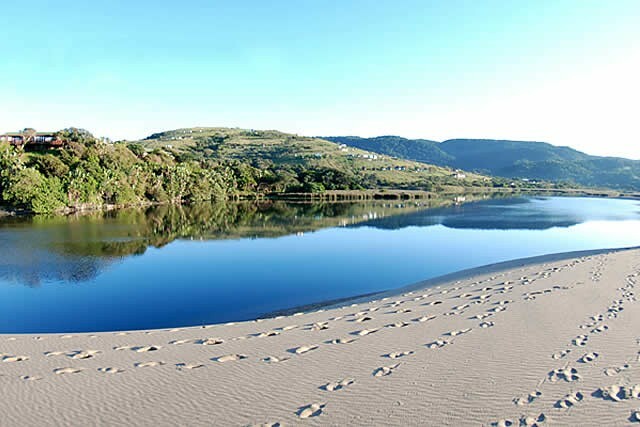 At Mbotyi River Lodge, the Wild Coast’s leading seaside hotel we offer a range of accommodation options for couples, groups, families or corporate and conference bookings. 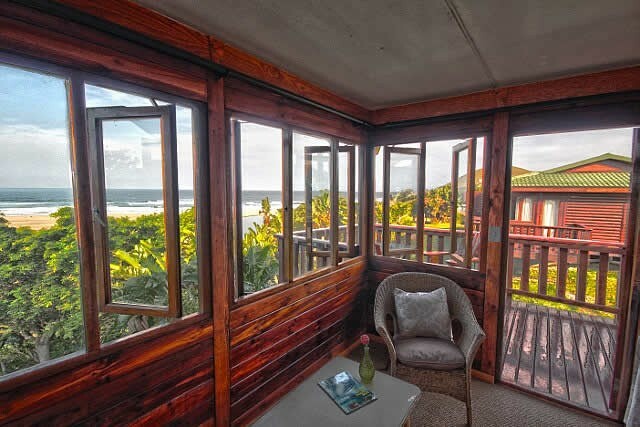 Guests enjoy a comfortable 3 star hotel experience at this wonderfully remote Wild Coast resort. 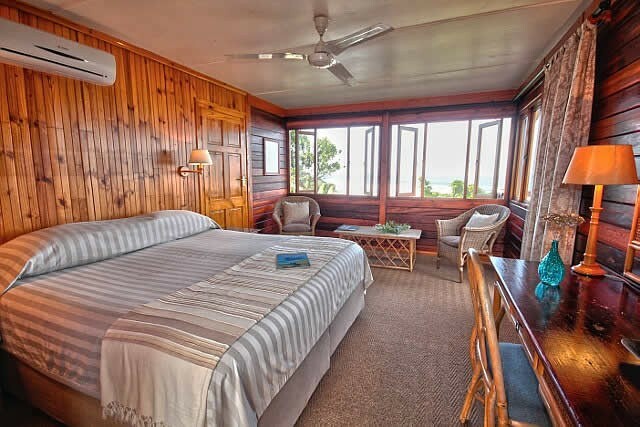 Our bedrooms all have a private balcony or patio to enjoy the wonderful views whether it is of the sea, the lagoon or valley. 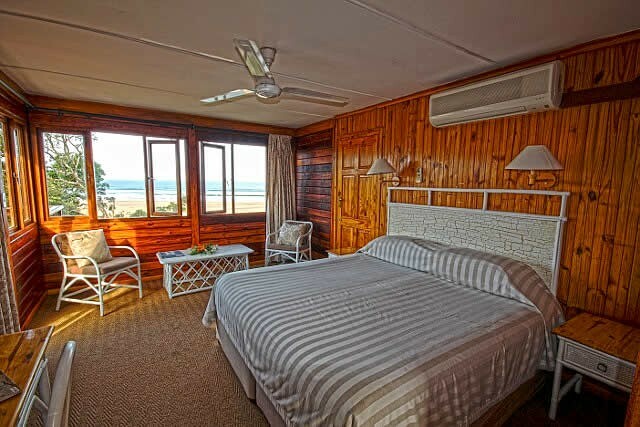 We have 48 well appointed, en-suite rooms of which 36 are log cabins and 12 in thatched units that blend beautifully into the lush natural environment of Pondoland. 12 rooms interconnect – perfect for families. We also cater for sporting, adventure and conference groups. These 12 rooms offer air conditioning and fridges for your extra convenience. 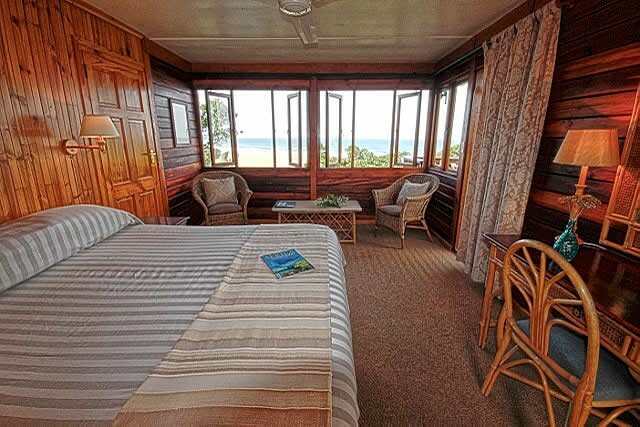 The rooms are comfortable and have fantastic views of the beach, river and Indian Ocean. Rates also vary for the different seasons, inclusive of dinner, bed and breakfast out of season and full board during the mid and peak seasons. 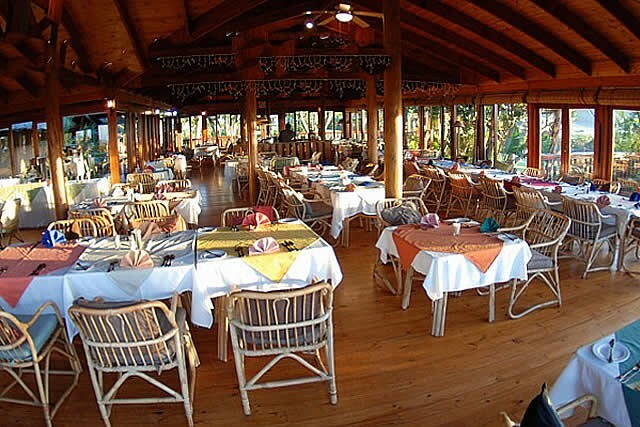 Equally as comfortable as the others, views from these rooms are of the beautiful, wide lagoon, the forested hills and Mbotyi River. Comfortable and spacious, these rustic rooms are well proportioned with sunny patios from where you can soak up the peace and tranquillity of Mbotyi. Baths only (no showers). Take the N2 from Durban to Port Shepstone and then the R61 to Port Edward. Drive through Port Edward to Bizana (approximately 53kms). Drive through Bizanaand continue approximately 29kms until you get to Ku Bha T-junction. Turn left to Flagstaff (approximately 32kms). Drive through Flagstaff and continue on to Lusikisiki (approximately 36kms). When you get to Lusikisiki you come to a circle in the road on the outskirts of Lusikisiki. DO NOT TURN LEFT DOWN THE MAIN ROAD. There is a Sasol Garage at 11 o’clock. Drive around the circle and keep the Sasol Garage on the left. Drive up the road past a Police Station on the right to a Total Garage. Here the road veers to the right and you travel about 300 metres. There will be a Mbotyi River Lodge sign on your left hand side. Turn left onto a concrete road – Beware of the speed humps in the road. Travel 6kms on the concrete road which has speed humps all the way. After 6kms AND BEFORE THE END OF THE CONCRETE ROAD, you will turn right onto a gravel road. You are now 19kms from Mbotyi River Lodge. Keep going on the gravel road. 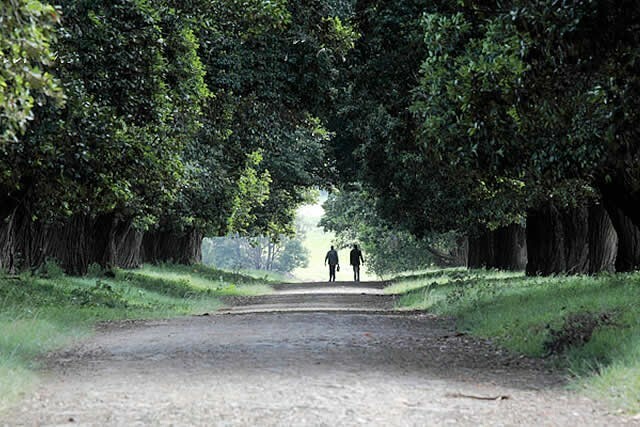 You will come to a tea plantation. There is a little piece of concrete road through the forest. Continue on over a little causeway bridge. Get to another little causeway bridge – keep left. Drive up the hill and turn left into the Lodge premises. Before entering Mthatha, find shell Ultra City left, note a thatched village on left, look out for Ultra City signs. Clean bathrooms and refreshments. Enter Mthatha on Nelson Mandela Drive, continue until you see the N M museum ( old building large signs ) on left, take next road left, Madeira Road – cross 3 roads turn Rt into Sutherland, signs to Port St Johns – stay on same route 61 for 95 km. 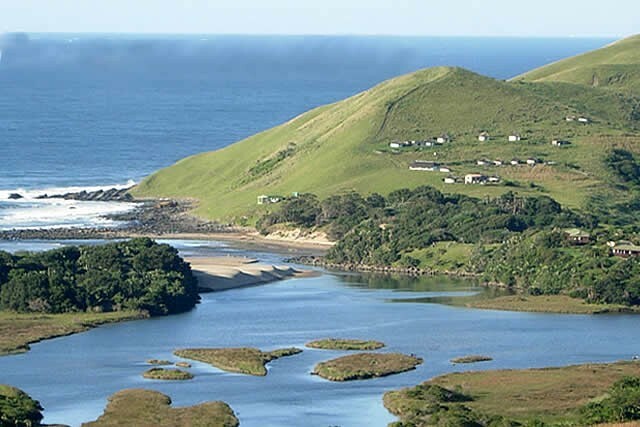 Before entering Port St Johns, the Umzimvubu river will be on left, look out for a bridge across Lusiksiki. Take this road, route 61 again, the next 45 km, very twisty but very scenic. Before entering Lusikisiki, you pass a deserted Quarry on the left- see Mbotyi River Lodge sign in Blue, white and black. Turn right onto a concrete road – Beware of the speed humps in the road.